Kaash Aisa Hota Full Song Lyrics with English Translation and Real Meaning Explanation from latest Single track by Darshan Raval. The heart breaking love song Kaash Aisa Hota has been composed, penned and sung by Darshan Raval himself, the music is available under the label of Indie Music Label under Sony Music India. 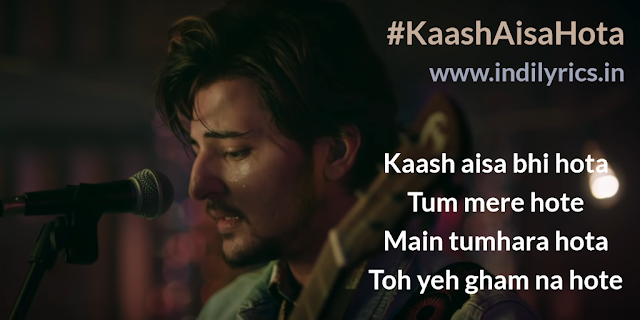 The audio mp3 version of Kaash Aisa Bhi Hota by Darshan Raval is free to download and stream from Wynk, Gaana, JioSaavn and other online music portals, the Kaash Aisa Bhi Hota Music video stars Darshan Raval and Karishma Sharma. Yeh kya kiya toone kiya..